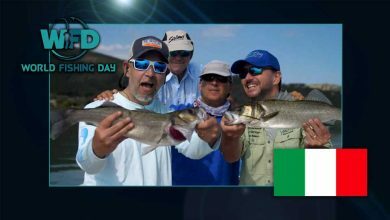 Watch all the action from each individual World Fishing Day location, as it happened. So whether you want to spend an hour catching rainbow trout with Al Brown in New Zealand or some time with Bubba Bedre in Texas chasing Aligator Gar, or salmon fishing in Iceland with Rae Borras, you can choose which of our locations you want to check in with. 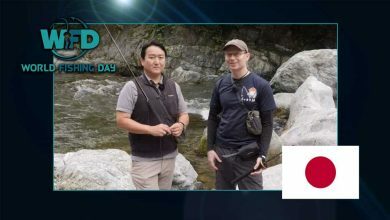 Paul Gaskell was in Japan on World Fishing Day sharing his passion for the ancient art of tenkara, a form of fishing that's similar to fly fishing, but with a few quirks that make it a fascinatingly delicate sport. He explored some stunning mountain streams in the company of a local tenkara expert. 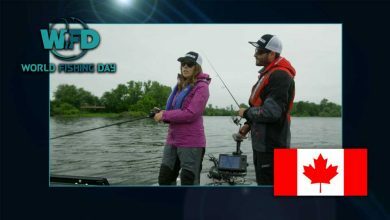 Bass fishing with Ashley Rae in Canada on World Fishing Day was a real highlight. Ontario is home to some incredible lakes, but Ashley was fishing the Bay of Quinte, which is on the shores of the mighty Lake Ontario itself. Did Ashley tempt a few bass to the boat? 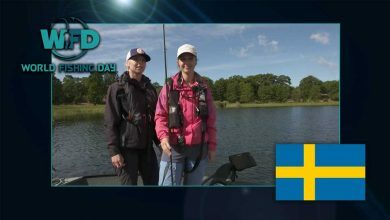 Pike fishing in Sweden with Matilda Leijon on World Fishing Day was a real highlight. She was in a part of Sweden called the 'pike kingdom' and with good reason. She was joined by her trout-fishing friend Louise Ardvisson - Matilda was keen to make her a pike angler! 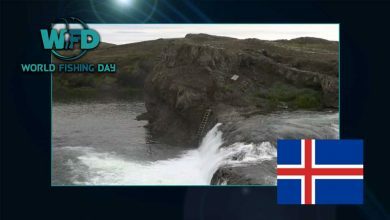 Rae Borras, a man with more than 1000 salmon to his name, was salmon fishing in Iceland on World Fishing Day, on the famous Grimsa river. His guide for the morning was Katka Svagrova, Czech fly fishing guide extraordinare. Rae got some stick from the studio, but does he have the last laugh? 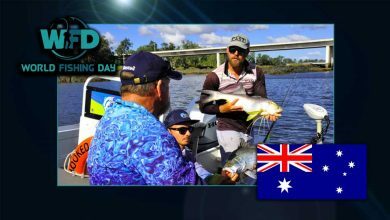 Well-known TV angler Steve 'Starlo' Starling was on the Fitzroy River in Rockhampton, Queensland, trying to catch Australia's most revered sportfish, the mighty barramundi. Rockhampton is famous as one of the best fisheries in Australia, thanks in part to a project to end commercial fishing in the river. 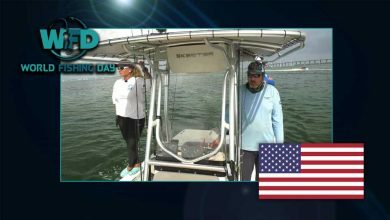 Brazilian angling TV presenter Luana Pigatto was on the water in the Florida Keys on World Fishing Day - the sport fishing capital of the world. Her aim was no small one - to catch a tarpon live on camera. The conditions looked good, she had two expert guides - could she pull it off? Juhani Henriksson was our host on the banks of the Tornio River, which forms the border between Finland. 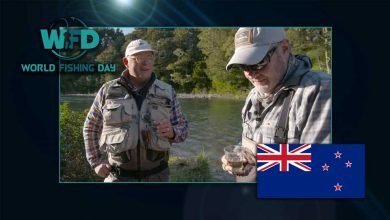 He was joined by the rest of the team from his show Arctic Waters and a host of local guides to try to catch an elusive Atlantic salmon. He explores what is behind the loss of the once abundant salmon stocks in the Baltic Sea region, and the work being done to reverse that trend. 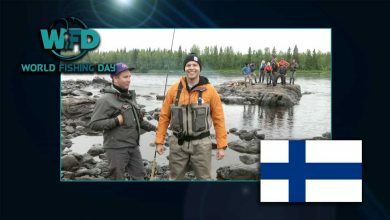 We also hear from Finnish actor Jasper Paakkonen about his love of fishing. 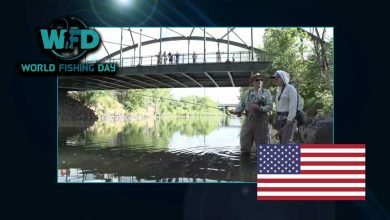 Fly Fishing in Denver, Colorado on World Fishing Day - Corrinne Doctor is live from the South Platte River in downtown Denver attempting to catch trout on the fly from an urban fishery that by Trout Unlimited has helped to bring to life. We're also joined by Scott Schreiber of Trout Unlimited and Crystal Scott of Project Healing Waters.